Description: Basic design, great quality! 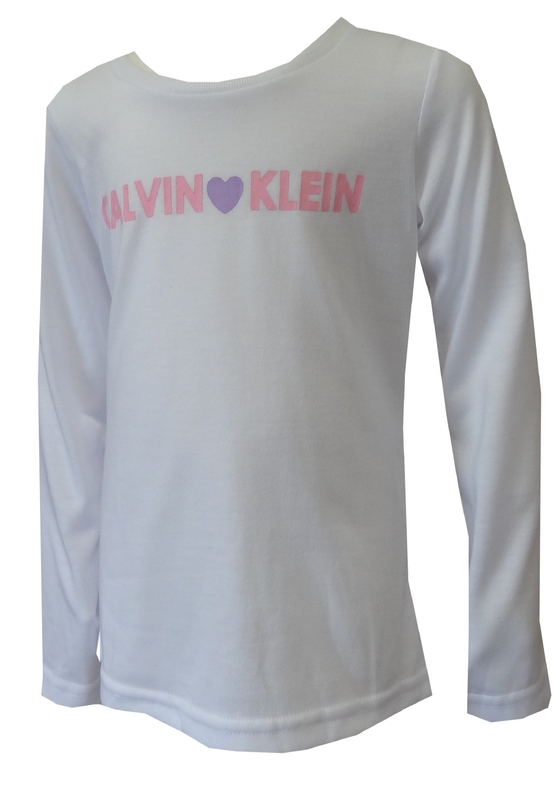 These flame retardent t-shirts for girls feature a pink Calvin Klein logo on a simply tasteful white background. These fun long sleeve t-shirts are machine washable.